Grant, a 1985 graduate of the Waldorf School of Garden City, NY, has been a camper, counselor, and staff member intermittently at Camp Glen Brook for over 30 years. He earned his bachelor’s in geography from the University of New Hampshire and worked as a stage production carpenter and residential contractor before achieving his master’s degree in Waldorf education at Sunbridge College. Subsequently, he and his wife moved to Pennsylvania where he taught first through fourth grade at the Waldorf School of Philadelphia. As facilities director at Camp Glen Brook, Grant brings enthusiasm for the work projects as a way to teach students self-reliance and community-building values. Says Grant, "Glen Brook fosters positive social forces for people striving to work in harmony towards responsible social awareness." Kate comes to us from Marlborough, New Hampshire where she has lived for over 20 years with her husband and two of her four children; her other two children are away at college. Kate holds a Master’s Degree in Education from Keene State College and a Bachelor’s Degree from the University of Vermont in History. She has worked at Green Mountain Girl’s Camp and Camp Waubanong in Vermont. She is a Monadnock Lion and a member of the Federated Church of Marlborough as well as a Trustee of Marlborough Community Connection and the President of Evening United, a philanthropic organization in Marlborough. She enjoys kayaking, bragging about her children and scrapbooking. Katy is a 1984 graduate of the Waldorf School of Garden City, NY and has been a student or staff member at Glen Brook intermittently for 35+ years. She earned her Bachelor's in Nursing from Adelphi University, NY and has worked in many areas including hospital based acute care, community health nursing, insurance case management, and most recently, camp nursing. Katy also is a professional musician and is currently a faculty member of Concord Community Music School in Concord, NH where she leads a chorus for adults with disabilities. Katy and her husband live with their four homeschooled children, dog, cat, and rabbits in Goffstown, NH. As Glen Brook's camp nurse, Nurse Katy brings her knowledge of Western medicine and blends it with herbal, homeopathic and energetic modalities to care for the campers and staff in a way that best fits each individual. Katy is usually accompanied in her work by her dog, Isabella. Katy says, "Camp Glen Brook continues to demonstrate to the world that responsible stewardship of land and all that inhabits it can be a joyous rewarding experience, and can build lifelong connections." Shelley Goguen Hulbert comes to Camp Glen Brook from nearby Peterborough, New Hampshire, where she and her family have resided on their small, diversified biodynamic farm since 1984. Her children, now grown, attended the Monadnock Waldorf School, where she served as a class parent and a board member. Shelley holds a masters degree in social work from the University of North Carolina, Chapel Hill and a certificate in Biodynamic Agriculture from the Pfeiffer Center at Sunbridge College. She brings a great diversity of relevant work experiences to her leadership at Camp Glen Brook, including camp directing, management training, clinical social work, community organizing, fundraising, sustainable development and biodynamic farming. She was co-founder of Nubanusit Neighborhood and Farm, a socially and environmentally sustainable intentional community in Peterborough, New Hampshire and served as Interim Executive Director of The Josephine Porter Institute for Applied Biodynamics. She is passionate about building community, spending time in the natural world, working with children and teens, weaving, painting, gardening and raising animals. Jake first came to Glen Brook for Winter Camp in 2007. After spending four consecutive summers leading our Falcon Outdoor Leadership Program, Jake began developing Gap at Glen Brook in 2014, and launched the program in fall of 2015. He enjoys nothing more than sharing the New England wilds with people. These days it’s all-gap-all-the-time, but prior to coming here Jake helped to launch the Pasadena Waldorf High School in Los Angeles, California. As High School Assistant Director, he helped prepare for the school's opening, then worked on a variety of projects, including outreach, curriculum development, and schedule planning. He also coordinated the high school's trips program, bringing classes to amazing wilderness areas in Southern California. A Bates College graduate with an Environmental Philosophy major, he loves to travel and has visited various parks, cities, and surf breaks around the U.S., Europe, and South America. Robyn was born and raised in Texas, and moved to New Hampshire with his family at the end of 2017. He and his wife Jessie have five children, and they have been in the Waldorf community since 2007..
Robyn has been in the culinary world for 25 years as a certified chef and nutritionist. 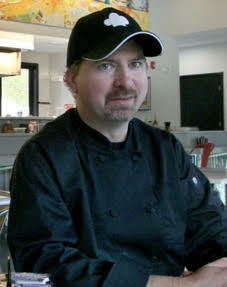 He looks forward to bringing fresh meals from farm to table to everyone who enjoys and loves Camp Glen Brook. Mark's good humor and enthusiasm for working with young people in the outdoors are trademark qualities of his work here at Camp. A graduate of Bates College in Lewiston, Maine, Mark majored in philosophy with a focus on ethics and morality, which speak to the very heart of summer camp living. Growing up, Mark spent most of his summers attending and working at a camp closer to his hometown, Buffalo New York, where over different summers he was the nature teacher and taught horseback riding. Before his current job, Mark worked summers here at Camp Glen Brook as a Trip Leader and leading the Falcon Outdoor Leadership Program. Mark came to us most recently from the Chewonki Foundation in Wiscasset, Maine, where he was an outdoor educator. Mark loves to learn new skills, and especially loves the outdoors: exploring and wandering in the woods, tracking animals, climbing trees and rock climbing, playing in streams, building fires, chopping trees, canoeing, kayaking, hiking, running, and biking. Mark is certified as a Ropes Course Instructor, a Lifeguard Instructor, and as a Wilderness First Responder. Mark often serves as the camp photographer & web designer, and loves taking photos of children, wildlife, and the natural world. Mark maintains a regular yoga and meditation practice, which he cites as a source of his boundless energy, enthusiasm, and patience. Mark is always looking forward to his next opportunity to share these joys and skills with students, campers, gappers, and adults. Mark can usually be found with his dog, Bodhi nearby. Click here to meet Bodhi. Sadie grew up in Minneapolis and attended a Montessori school that owned a large organic farm in Wisconsin. The seeds of her love of farming were sown at this 'land school' through many trips during her elementary years, and a summer during college when she worked on the farm's CSA. She graduated from Hampshire College in Amherst, Massachusetts with a concentration in creative writing and organic agriculture. During her college years, she worked on farms in California, Alaska, Wisconsin, and Ireland, and wrote about those communities. She spent a year at the John C. Campbell Folk School in the mountains of North Carolina. While working in the gardens, she also took classes in blacksmithing, using natural dyes, spinning, weaving, quilting, folk dancing, wood-working, and cheese-making. She loves to make music, grow food, and laugh. Sadie comes to us most recently from the Orchard Hill community where she grew an acre of vegetables, co-managed a pastured meat CSA, and worked at the Breadworks wood-fired baking operation. Sadie is thrilled to bring her skills and excitement to the farm at Camp Glen Brook. Keith has passed his 25th summer at Glen Brook, so we’re starting to think he likes it here. The rest of the year Keith works in the Springfield Public School District where he’s been since 1984. He first served as a counselor for students with behavioral and academic issues, and since 2006 has been the Assistant Principal for Springfield Central High School (the Washington Post has named his school in the top 5% of public schools in the country.) While Keith loves his work during the year, he always looks forward to his time at Glen Brook each summer-- he started coming to Glen Brook as a student of the Waldorf School of Garden City. We always love to have Keith’s enthusiasm for games played with good sportsmanship, and his genuine enthusiasm for everything that happens at Camp. Keith is joined by his son, Matthew, at Camp each summer, and his two older children attended the Camp for years, as well.